[lang_pt-br]Após cinco anos de desenvolvimento, várias versões 0,1, um monte de betas e um RC, nós finalmente estamos prontos para lançar a primeira versão estável do Rockbot, a 1.0.0! Ainda temos alguns bugs, problemas e melhorias a serem feitas e mente para o futuro, mas trabalhamos muito duro para corrigir todos os problemas importantes e tornar esta versão sólida com toneladas de correções that nos deixam orgulhosos do resultado. Existem várias engines de Mega Man por aí, mas você irá descobrir que as capacidades únicas do Rockbot, tais como um grande suporte multi-plataforma e um editor que permite modificar quase todos os aspectos do jogo, um extra para quem deseja não apenas jogar, mas também criar seus próprios jogos. Você pode obter os binários na nossa pagina de downloads, também um manual estilo famicom pode ser acessado aqui. Animação de teleporte para entrada e saída de items Coil e jet. Não podem mais ser usados dentro de muro. [lang_en]After five years in development, several 0.1 versions, a lot of betas and one RC, we finally are ready to launch the first stable version of Rockbot, 1.0.0! It still have some bugs, issues and improvements in mind for the future, but we worked really hard to fix all important problems and this new release is solid and contains a ton of fixes and small touch that make us very proud. There are several Mega Man engines out there, but you will find Rockbot’s unique features as really great multi-platform ports and an editor that allows you to change almost all aspects of the game a plus for people looking not only to play a game, but also to create their own. You can get the binaries and source-code in the downloads page, a famicom-like manual can be accessed from here. Add elegant “leave” message and confirmation dialog. Update code to not use exit() unless critical. Teleport animation for Coil/Jet items. Do not allow to use it inside a wall. 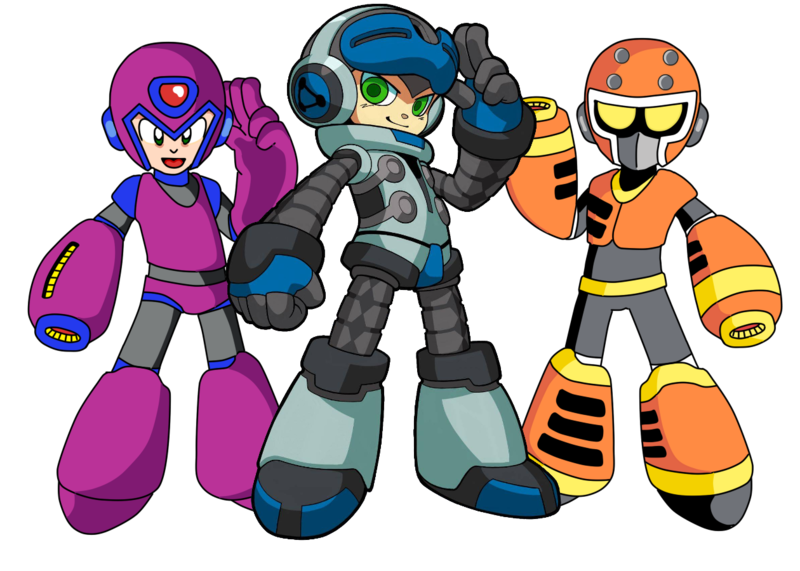 You all know that Rockbot is inspirated by Mega Man (Rockman) classic game series, and I am a big fan of Kenji Inafune, the designer of the series. 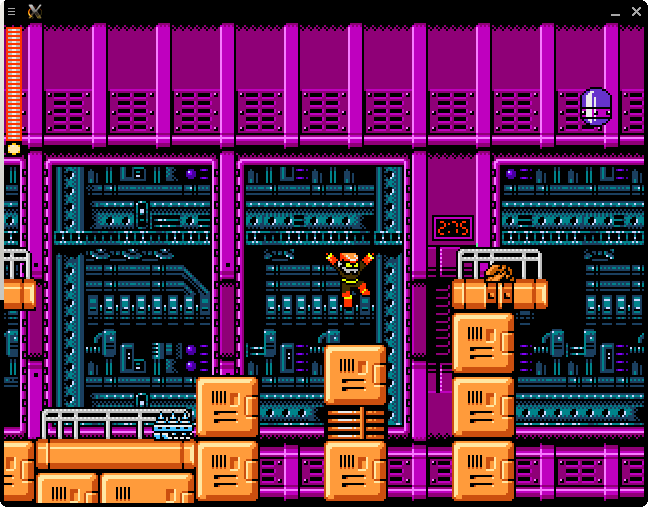 So, well, he left Capcom, that later simply killer all Megaman projects, sadly. So, he is now at his own company, and asked US for help! That is it! We can help out to make a spiritual sucessor of Megaman, a game called Might no 9! So, you can go to Kickstarter page, and donate money to the project, as I already did of course. For just $20 you can get to fund the game and get it for free when it is launched! And more, they will hear US, the funding team, about HOW we want the game! Cool, isn’t? We could not be happier with the idea, as Rockbot was also created with the same principle: make the platform action old style games alive! Please, you also need to donate and help! Let’s do something amazing together. [lang_pt-br]No dia em que o 12º doutor (Doctor Who) é anunciado, o 5º beta do Rockbot também é! [lang_en]The 12th Doctor (Doctor Who) is announced, the 5th beta of Rockbot is also announced! Grab it while hot in our downloads page.